Typically when you set out with a Rails application, your data lives inside a MySQL (or PostgreSQL, or SQLite, or Oracle) database. But, it turns out that the traditional relational database is not a great fit for all types of data. For example, if you want very fast access to data that isn’t flushed to disk all that often, you could hold that information in RAM. In this case, you might want Redis or Memcached. If your data can be represented as a graph, you’ll want to check out Neo4j or OrientDB. But sometimes, you don’t want or need a full-blown database server; instead, you can make do with a simple library that can be packaged along with your app. This is where LevelDB fits in: it is a key-value storage library that’s meant to be fast. In this article, we’ll cover how to use LevelDB with a Ruby wrapper and also discuss where you should and shouldn’t use LevelDB by presenting common use cases. LevelDB is a key-value storage library, meaning you can associate string keys and string values which can be queried later. Wait a second – isn’t that like a Ruby hash? What’s the point of adding on another dependency if Ruby already has what we want? It turns out that Ruby’s hash can’t really be used as a on-disk key-value store. First of all, the LevelDB “hash” is stored in a database file instead of being held in memory. So, when your app ends/crashes, you will still be able to access LevelDB data when the app restarts. 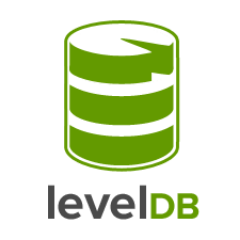 In addition, LevelDB includes tools to deal with problems that could and probably will occur. First of all, there’s all sorts of things that can go wrong when you try to write to a database. LevelDB lets you know if something goes wrong. It also lets us apply updates to the key-value store atomically. Basically, with an atomic update, either the whole update completes or none of it does (we’ll see an example shortly). Another great feature is fully synchronous writes, meaning updates to the key-value store don’t return until it has actually written them to the underlying device (e.g. a hard drive). We can construct a system that can’t have lost more than the updates it was working on at the instant that a crash occurs. LevelDB gives us some automatic synchronization. If we have two threads accessing the same database, for some operations, LevelDB will make sure that we don’t run into a problem by trying to access or modify the database at the same time. Finally, there’s also all sorts of performance benefits that LevelDB gives us. Taken as a whole, it is obvious that there’s a lot more to key-value stores than just taking a hash and serializing it. We always have to think about failure and, most of the time, concurrency. LevelDB takes all this complexity and lets us think about the key-value store as a simple hash and that’s what makes it awesome. What if we somehow fail just before deleting “fred”? That would mean that the value “smith” is now associated with both “fred” and “john”. In many cases, this sort of intermediary case can ruin your business logic. Instead, we need a way to make sure that either all three operations complete or none of them do. We need atomicity. Alright, so we now have a basic handle on LevelDB. It almost seems too easy, but that’s where LevelDB shines. It hides all of the complicated optimizations, algorithms, and the like to make it seem as if you’re just accessing a weird, little Ruby Hash. But, when should you use it? One might think that a good reason not to use LevelDB would be if you have anything more complicated than a simple key-value relationship. Fortunately, this is not the case. With a little bit of thought, it is possible to use the key-value store in order to create much more complicated relationships within your data. Another major benefit of LevelDB is that it is pretty low level, so you know exactly how much time (at least, asymptotically) queries and actions will take. Thus, you can create your own abstractions on top of LevelDB that provide specific trade-offs. I hope you’ve enjoyed this tour of LevelDB through Ruby. If you have any questions, drop them in the comments below!